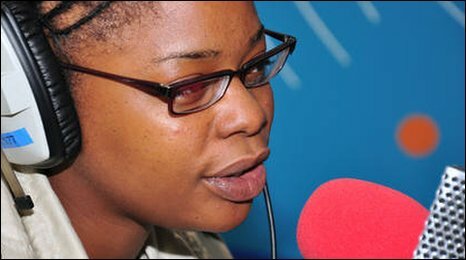 Speech Debelle's debut album beat the likes of Florence and the Machine and the Horrors to the Mercury Prize this year. Speech Debelle is quitting her record label, saying the company were to blame for disappointing sales of her Mercury-winning debut album. Debelle told BBC 6 Music that sales of Speech Therapy suffered because of poor distribution by Big Dada records. Prior to her win, the album had sold around 3,000 copies with sales increasing to just below 10,000. "I wasn't disappointed that it didn't sell well, I was disappointed in the people I was working with." She pointed to the fact that online retailer Amazon said it had seen a 40-fold increase in demand for her album. "I wasn't on a big label and the machine wasn't there. So even though the album won the Mercury, it was still only able to do what the label was capable of doing, which just means that I'm more prepared for next time." A spokesperson for Big Dada's parent company Ninjatune said the company had no comment on Speech's remarks. Meanwhile, Speech is set to return to Australia, where she made her debut, to work on the follow up with producer Wayne Lo-Tek. "I want it to be a mix of Ray Charles, a song like Georgia, I want it to have the atmosphere of Pink Floyd's Dark Side of the Moon and the drums of J Dilla." Speech said the project will feature Faithless vocalist Maxi Jazz and influential British MC Rodney P, and hopes to release it around September next year. She said that negotiations with record companies around the next album are already underway, and she hopes to finalise a deal early next year. "One thing I've learnt is that having bargaining power is important. It's important to walk into a record label and say 'This is what I have, and these are the kind of terms I want.'"